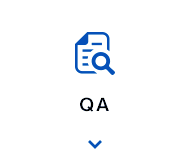 Quality assurance・Quality policy｜Manufacturing high quality APIs, Katsura Chemical Co.,Ltd. We contribute towards the sustainable development of our society in that we support the lives and health of people by supplying high-quality APIs. We are committed towards complying with the relevant Japanese and international legislation and regulations and the spirit of GMP conditions. We also strive towards sustainable improvement of the product quality system, further education and training of our employees and management executives which motivates all concerned to make the best decisions. Against this backdrop, it is our firm intention to increase the product quality over the entire product life cycle. 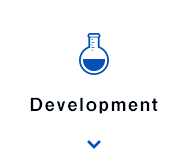 In the development department, we engage in a wide variety of examinations which range from developing the synthetic method, reviewing scale-up of the process to establishing the manufacturing method. The quality of the manufacturing process plays a particularly important role for producing high quality APIs. We incorporate a line of thinking as shown in the ICHQ Quartet, such as implementing critical quality attributes including risk evaluation during all stages of development. We work on technological development using the most advanced PAT equipment always bearing in mind “quality” and “scientific principles”. Furthermore, we proactively provide our clients with technical information in the early stages of development because we believe in close cooperation with our clients and see this as the fundamental principle of our business. 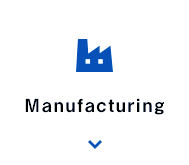 APIs are produced in the manufacturing departments at our two plants that operate in accordance with GMP conditions. Production activities not only include supplying products with a reliable level of quality but also give broad consideration to productivity, costs, consistent supply, safety and environmental impact. In day-to-day operations, our manufacturing department is responsible for a number of activities that have to be coordinated with those in the production department such as procurement and stocking of raw materials, management of supply and product shipment as well as maintenance of the equipment used in the plant. These operations are conducted in full compliance with GMP conditions. It is very important that the products are reliably manufactured based on the “Katsura Chemical Quality” concept whilst at the same time ensuring that continuous progress is made to increase the product quality. In the quality control department, the key day-to-day operations include quality testing of the raw material, the intermediate and final products. This is not only a testing department but it also functions like a “doctor” to supervise our production activities. They play an important role not only in making decisions with regard to the quality determined from test results but also in analysing the extensive quality information already stored. This information links preventive measures with improving implementation of inconsistent results during the production of APIs. For this, it is necessary to apply product quality evaluation technology which continues to develop at a rapid pace. We therefore proactively acquire this technology and install it to ensure the reliable supply of consistent quality in our products. In the quality assurance department, we make a concerted effort to establish and maintain a reliable quality assurance system which meets the latest global GMP standards. We collect the latest information about drug manufacturing and promote awareness of the product quality by sharing this information within the company. Where production activities are concerned we ensure that the APIs supplied are safe to use thanks to our quality assurance system. This includes verification of manufacturing and test records, quality risk management and change management. 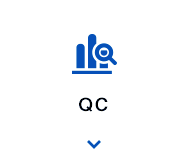 As for our external work, we handle registration via the Master File (MF) and Drug Master File (DMF), manage correspondence for enquiries, deal with GMP compatibility inspections and are a point of contact for manufacturers and distributors.